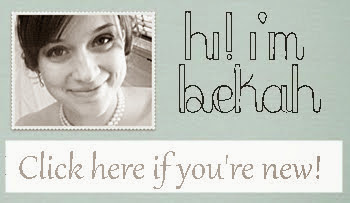 Hey, so...I just notice I have like 4 people in my blogroll. I should update that. Drop me a comment if you would like to be added or shoot me an email...whateva. I have something for you on my blog. Come and get it! haha oooh beam. its the list of blogs i have linked on the side of my blog. you are already on it. oh and YAY you figured out how to comment! Bekah, I would be honored. I think that you are on mine. I must go and check. OK you are up on mine. You were in my reader, but not on my blog roll. Love your posts, meant what I said in my comments today. I don't even know what a blog roll is. But PICK ME, PICK ME. I would love to be on your blog roll. I am needing to update mine as well. let me know if it is ok to add you. you should see my favorite link on my computer...its full. I just need to transfer that to my blog. thanks for stopping by today. have a good weekend. OOOooooOH ME, ME, Pick Me,please Pick me!! Pick me, pick me (Jumping up and down waving arms)! Nah nah nah nah nah. I'm already on! LOL. Our decorous underpinning work together of hilarious qualified pharmacists commitment help you order Viagra now, consulting on multifarious constitution questions.